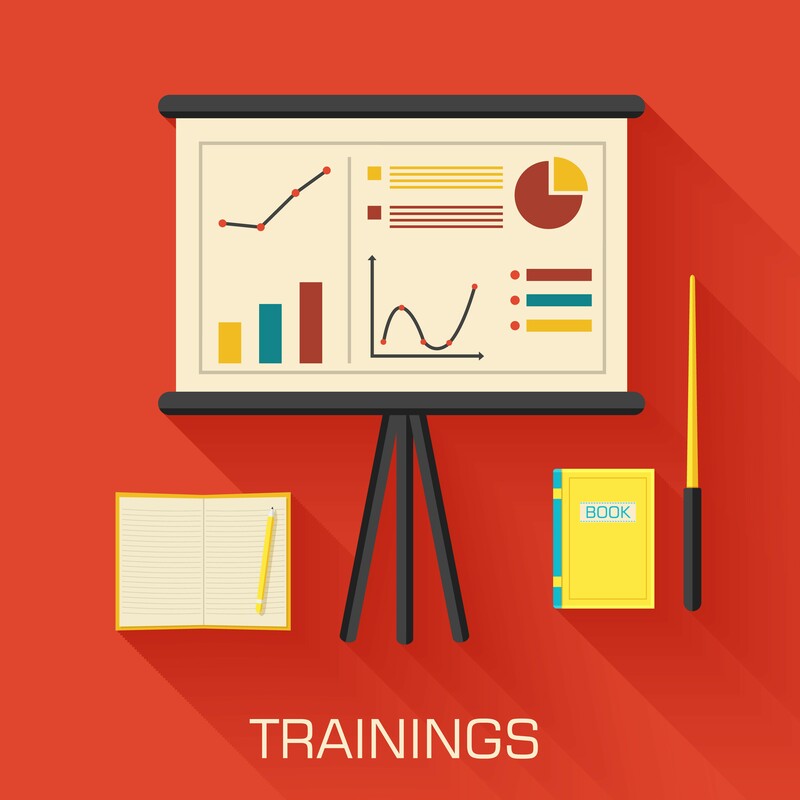 As a parent, your ultimate goal is to educate school personnel so they want to help your child. My son 18 has missed more than the allotted number of school days. He is bipolar and occasionally has a hard time getting to class on time. Tardiness is counted as a whole day absent. The school wants a doctor’s note every time. The school also insists I provide them with a doctor’s note every year saying that he “STILL” has bipolar disorder. His school counselor said “Just a sentence on a letter head every year.” I say that is ridiculous. There are several concerns here. One concern is that schools don’t often know how to help children who really do have bipolar disorder. The parent’s frustration with the school’s request is understandable. But as a parent, your ultimate goal is to educate school personnel so they WANT to help your child. This won’t happen if you refuse to provide information the school requests and let them know you view their requests as “ridiculous.” I’m not sure this is one that you can win without getting help from others. * How does the school view your child? What are their perceptions? * Do school personnel view him as a lazy teenager who doesn’t really have anything wrong with him? * Do they view you as an overprotective mom who makes excuses for her child who won’t roll out of bed in the morning? (Why else would you refuse to provide them with the information they need?). * School people are not mental health experts. What do they know about bipolar disorder? * Does he take medication? How does this affect his sleep? Motivation? Ability to learn? 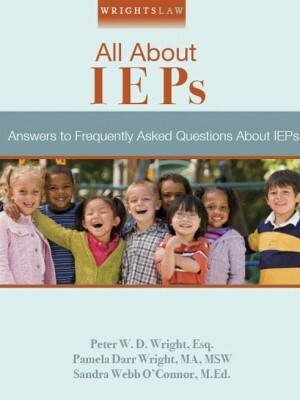 * Does your child have an IEP or 504 Plan? 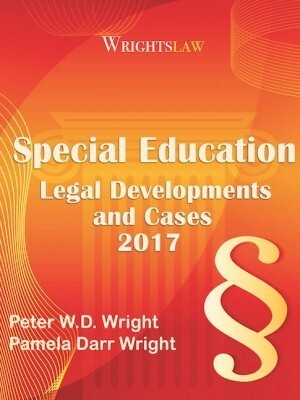 If he has a disability that adversely affects educational performance (and it sounds like he does), he should be eligible for special education services under IDEA. If he has a disability that does NOT have an adverse impact on educational performance, he should have a 504 Plan. * Does the school have a policy that if a student has a medical or psychiatric condition, the school needs updated information from the treating physician at specific intervals (every year, every semester) that the student continues to have that condition? * Does the school need information about how his condition affects his ability to learn and perform in school? If school people view you and/or your child in a negative light, you need to change their perceptions. 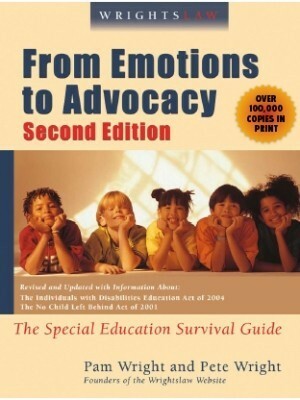 This includes getting information from a treating psychiatrist or psychologist to begin educating teachers about your child’s condition and how it affects him and his ability to learn. This is the only way you will accomplish the goal of educating the school staff so they WANT to help your child. 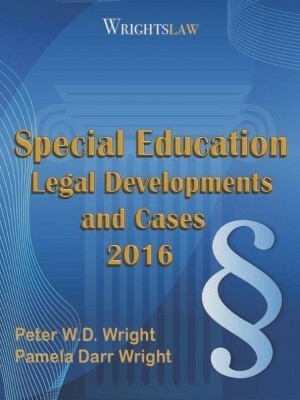 This entry was posted in Advocacy, Legal News, Section 504, Strategies and tagged Advocacy, IEPs, Positive Parent-School Relationships, Rights and Responsibilities, School Culture, Section 504 Plan, Tactics and Strategy by Wrightslaw. Bookmark the permalink. Sometimes it does not matter, they will think what they want to think. Princess, I agree that there are some teachers and administrators who do “think what they want to think.” Our behaviors, attitudes and our approaches as parents can make a difference. Sometimes staff members need to hear from a parent, “I am here to support you.” The key is collaboration. I have found that being calm, professional and educated about my child’s disability spoke volumes to them. Some teachers have such a deep depth of wisdom and experience and I listened and followed their advice. The key is collaboration and knowing that some of them actually know what they are talking about, they just need to know your child’s specific needs. 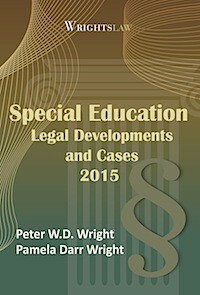 Your advocacy and collaborative skills play a major role in your child’s journey through special education. I have found the school to be very helpful and experienced with bipolar and all mental illness. There is a school psychiatrist assigned to the school who also performed psychological test based on the diagnosis and coordinated with students psychiatrist and psychologist. The school also implemented a student intervention team (SIT) consisting of the school and county board of education psychiatrics and school counselor, nurse, principal or assistant principal, assigned teacher(s), and parents/guardians. I have learned from this SIT IEP’s and 504 pertains only to academics so if a patient/child is above the levels academically the tops are not necessary. A behavior intervention plan (BIP) is then initiated to address the behavior and remedies to help the child. Jdeekdee. Let me offer another angle on this. If I hire a group of people to work for me, I still have to help them become a team. I have to provide them with vision, direction, assistance, and encouragement. Someone said “the greatest among you is servant of all.” Likewise, as a parent or advocate, the leadership I provide to an IEP team comes through an attitude of service. In humility we have the power to draw people toward rational objectives which they can find the desire to embrace. We help them cultivate and maintain that desire through our hearts of appreciation and commitment toward them. Advocacy means persuasion, which results from leadership through service. It’s a process of relationship. As trust and appreciation build, progress happens. If we break away from that mutuality, we abandon our power. Wonderful suggestions! What would you suggest if the District feels like all children with a Diasability must be an restricted environment. That they are allowed to mainstream only when they can “shadow their typical peer”? What can one do when you offer information to help them understand the Disabilty and they refuse to hear? My son has Asperger’s and ADHD Inattentive. He just got an IEP, but the school refuses to implement the necessary recommendations from the neuropsy. HELP! I noticed that the teachers w/out Asperger’s experience cannot teach children with this disorder. Why? They need fast-paced instruction in some areas while slower-paced instructions in other areas. They need to relax and talk while learning. It sounds unusual for many of us who need silence and concentration, but, I repeat, these children learn differently. Can parents request a spec. ed. teacher with Asperger’s experience from the school? My son’s disability is with written expressions. He can type out fantastic essays, but not write them down on paper. What do you recommend? We had to hire an attorney to advocate for us. Thank you for this additional insight! It is so true and helpful when advocating for your student and attempting to help educate staff as to the impact such a condition has on your student’s daily life. Remember, they do not live with your student 24/7 as you do, so it really is worth getting a note from your PCP or Psychiatrist OR BOTH,or obtain whatever verification documentation the school feels it needs in order for them to understand all that may result due to and as a part of your students disability so they CAN excuse such tardiness,etc. 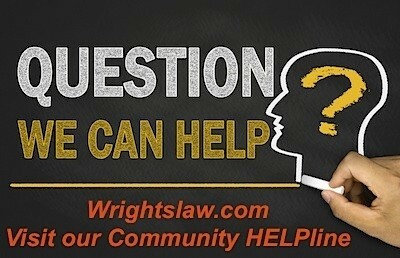 I am a school counselor and have been reading Wright’sLaw for many years. Your article, “Walk in the Schools Shoes” is an accurate guideline for parents to to follow. 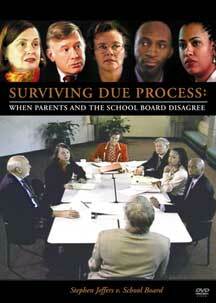 School personnel want to help children and they are equally frustrated when gatekeeping in any form occurs. 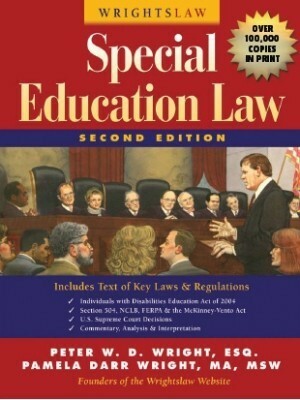 There is often a disconnect between what school staff need in order to provide accommodations and what the law may state. In my experience the kind of thinking and coorporation your article describes is ultimately guaranteed to work in favor of the child. Teachers and administrators,frommu experience,do appreciate us helping them as many are OT experts on our kids. I was able lot outline my child’s use of technology which lhelped the school provide appropriate AT for him even though we had an AT evaluation. They took my advice and used it. We need to walk in their shoes as kids with needs vary and they cannot be specked to know everything. It is truly about collaboration..always remember that your child is in the care of such teachers so work with them. Does anyone know of any cases where a school ignored the physicians well written letter requiring accomodations for a child covered under the ADA? We are working on filing a complaint against our son’s school due to their lack of attention to the accomodations that are necessary for him to fully function at school. They are not huge accomodations and are easily put in place, but I need some legal references that will help our case. Unfortunately, it costs me $300.00 each time I need a “note” saying my child STILL has his disorder. Being as it is documented that five generations back has this same disorder, the school has this information, and the disorder never went away for any of them, I do think it would be unreasonable for the school to require me to have a note every year. Unless they would like to pay for it. 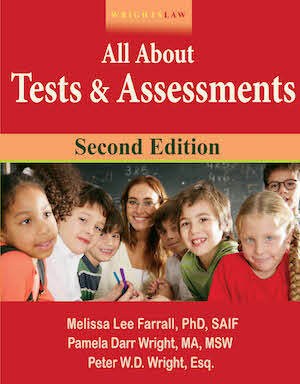 WHAT BEHAVIOR CONSTITUTES IMPEDING A CHILD’S ABILITY TO LEARN? An FBA is warranted if the behavior interferes with his learning *or the learning of others. * I believe that physically involving other children would certainly interfere with their learning, not to mention their safety. Considering the ADHD and suspected BP, it seems appropriate that the school would want to see what they can do to prevent further incidents. If he is in trouble, does he miss class? Was he suspended? That interferes with his learning since he is not receiving instruction. He seems to lack emotional control, impulse control, and/or social skills, which needs to be remedied. My son is 8 years old with ADHD, and possible Bipolar. (we are waiting to see the psychiatrist for an official diagnosis of bipolar, appointment scheduled for late november) This school year he has been in trouble 6 times for openhanded slapping a child, pushing a child to the ground, laying on the ground in front of a bus and now punching a child in the back. originally I was told every occurrence was unprovoked. Now I have asked for a BIP and suddenly his behavior is provoked. Does his behavior constitute impeding his ability to learn? Behavior has only been in unstructured settings. I’m told if after a FBA it is determined that it doesn’t effect his learning then he will not receive a BIP. I’m worried how this will effect future discipline at school. Any suggestions? The reason that the rest of the IEP team is able to make such good points is because they have likely already met to discuss the points that they will make during the actual meeting. My son has a diagnosis that was written on a 2004 school evaluation. The school introduced us to an outside consultant who is an expert in this area. In early 2008, we asked that my son’s classification be changed from OHI. The Director of Special Services and their Lead Psychologist were able to keep a straight face and tell us that “They had no reason to ever suspect that this diagnosis was even a remote possibility. They had seen no evidence of this diagnosis”. Unless you count multiple Doctor’s letters of diagnosis, or very specific comments in the FBA and other school documentation. I think my issues are precisely what this article recommends. I DO see the side of the teachers. I DO see the side of the schools. But because of this, I am nearly swayed to agree with them, and I no longer can fight for my child. I can make an excellent case to them… then they tell me their side (they aren’t seeing any issues at school so they can’t write IEP goals for things they don’t see)… all of this sounds reasonable, but he has a professioanl diagnosis of PDD-NOS… I have no rebuttal for teachers who don’t see symptoms of this. I want to be reasonable, but it appears that I’m the only one who notices my child’s social deficits. When I see their side, I feel I can no longer fight for my son’s rights. I really need help. For 3 yrs we have been trying to get the school system to help us with the grandson we raise. He was dx with CP @ 15 mos. So the IEP was for CP. Two teacher’s told me that he had austism tendencies, so finally after all this time last yr he was dx by a specialist with Asperger’s. We have gone to 4 counselors, a psychiatrist, and a physchologist. Even though we have had three letters written that requested that he have a specific aid to assist him, we have been denied. E has been in trouble for the last 4 week’s and still we have not received a specific aid. He is now 10 years old. If you can give any advice that could help us, please feel free to give it, we are now at our wits end and need to know our options. Also if there are any advocates near Shreveport, La that we can get in contact with please let us know. jdeekdee-Take your emotions and let them fuel something else…the drive and determination to become an expert on your child’s disability and the IDEA. Knowledge is POWER! When you do this and leave your emotion in the parking lot, you gain respect and credibility with the IEP team. I work for my state’s PTI, my favorite part of my job is when I see a parent just like you, who is angry and mistrustful gain the knowledge and advocacy skills they need to turn the advocacy corner and become a powerful advocate. When this happens the child WINS! It won’t be easy, but take it from someone who has been EXACTLY where you are, you can do this! Bury yourself in the IDEA and information on your child’s disability, make yourself a force to be reckoned with! I SEE PARENTS DO IT EVERY DAY! This is true in some schools. It’s not true in others. It sounds like your experiences have left you angry, hurt and mistrustful. You aren’t alone with this and I’m not judging you. I am asking you to take a “step back” into the shoes of other people and think about how they see things. If you can do this, you will be able to find allies and build alliances, and your child will benefit in the end. Schools often have policies wanting updated medical information every year. While this seems annoying and inconvenient for parents, it really does reflect an honest need for information. What if your child fell/had a seizure/or otherwise required emergency medical attention at school? Your child may be unable to communicate, and EMS would need the most current essential information (particularly regarding medications and underlying conditions). The obvious answer would be praise and positive feedback. BUT, you know as well as I do that lots of schools around the country could care less about this and put saving money ahead of how they want parents to see them. I see now that I should have said that I have already done all these things to no avail. What do you suggest when these things are tried by parents and failed? The more I did the things you suggest (and more) the more negativity and hostility I recieved from the school. Because they want to help children learn. What can teachers do when they work for an administrator who muzzles them and has a heart of stone? From what I have known, they keep their mouth shut and do as they are told so they won’t lose their job. This happened to more than one of my childs teachers, they let me know this when I started to homeschool. I have even heard of teachers that help children in spite of the reins of the administrators and they get fired. jdeekdee – You don’t think parents should help teachers, and provide them with information about the child, because they are being paid? You believe “it doesn’t matter how much ‘help’ we provide – they choose to keep their jobs over helping our children.” These statements are a good example of what we said at the beginning of this post – you need to put yourself in the shoes of others and answer questions. What do most people want? Money or praise and positive feedback? I just don’t think you should have to ‘help’ them WANT to help your child, we’re already paying them to do that! That should be enough ‘incentive’. But I know you gotta do what you gotta do in getting help for your child. As long as the admins are making the teachers stay quiet, not help, etc it doesn’t matter how much ‘help’ we provide – they choose to keep their jobs over helping our children. Even though that IS suppose to be their job. So actually, we are paying them to NOT do their job. I don’t think it’s right to help people like that. Even better, don’t wait to be asked for this kind of information — provide it before it is requested. I believe that it is my job as a parent to ensure that every other adult who comes into contact with my child has the tools she needs to help my child. Since my 8th grade daughter misses school regularly due to health issues, we begin every school year with an IEP meeting that includes a health update. The entire team discusses the plan that will be followed to keep her on track, academically. This year, when she stays home, I email all of her teachers with the day’s academic plan. It’s working. Even though she’s missed almost 10 days of school since the semester began in August, she has not fallen behind. While the notion that a child may be cured from a neurological or other disorder seems to be unlikely, providing documentation of the diagnosis every year can be a good thing too. 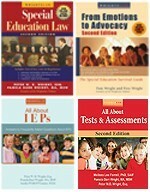 Keeping your focus on obtaining an education that is designed to meet your child’s unique needs and allowing them to advance onto higher learning and independence to the fullest extent possible; you should never here anyone on the IEP team say that “I had no reason to suspect that there may be a disability”. If your child is like mine and most in special ed, you have more than an adequate opportunity to pick a note up over the summer. If we focus on the fight, our kid’s education will always be a casualty and it will not matter who won the battles.